We feel so blessed to be living in community with some great people who, like us, are focused on furthering the kingdom of God on this earth in The Bahamas at Adventure Learning Centre and Camp. Not only is it great that we get to live in close proximity to all these people, but we also get to enjoy the convenience of being on site to help serve the groups and teams that come to Adventure Learning Camp. Along with the benefits and convenience come challenges as well. The biggest challenge we face is getting away and disconnecting. 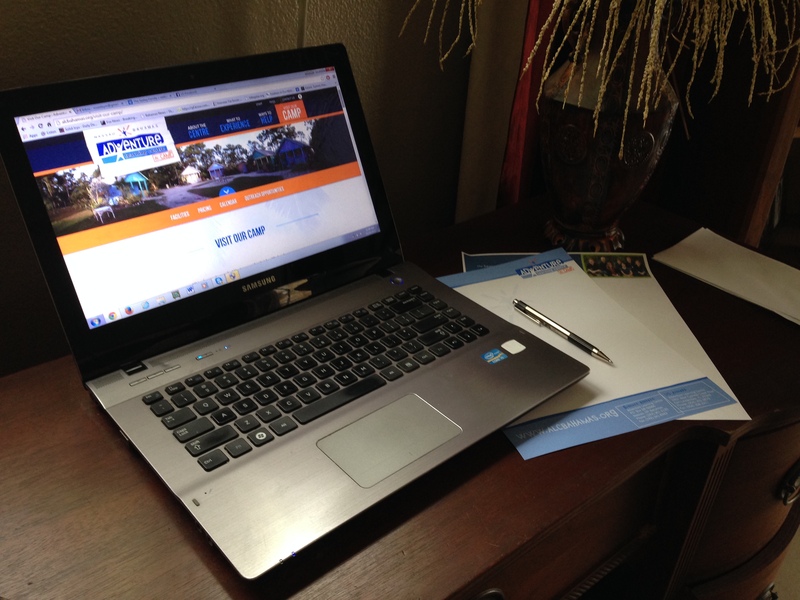 Living onsite means it is difficult to truly get away from work/ministry/responsibilities. Yes, part of the difficulty in getting away is a result of the position that Tim fills. Directors are rarely truly away from their responsibility, but living on site compounds the challenges. When we need to get away, we have to actually go away. Recently we were able to get away for 3 days. It is the second time we have done this, and both times were very beneficial. 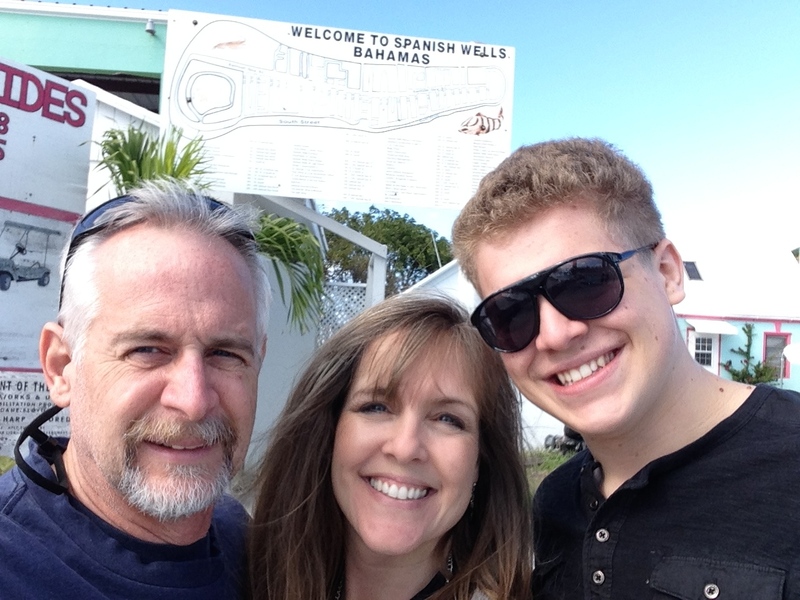 We took a ferry from New Providence to a tinier island called Spanish Wells just 50 miles to the east. What made the getaway even more special was that Zachary and I planned the trip without Tim knowing about it and then “kidnapped” him the morning the trip was to begin. While on the island, we did nothing but read, rest and relax. The trip was rejuvenating, and we came back 3 days later refreshed. As missionaries supported by the generosity of others, wasting money or giving the perception of wasting money is always a concern. Furthermore, we often times either do not “waste” money to travel for leisure or try to “hide” the fact that we spend money on travel. We do not want to offend anyone. We have come to terms with this and have heeded council that these times away are not only important, they are necessary. Please pray with us that we are more intentional about protecting family time and time away from our fish bowl (that is what we call where we live and work). It is our goal to do something offsite every couple of months as the Lord provides. Over the past month, we have continued to work with Janice as she learns how the ministry works. She is helping Tim in the office, learning how to host groups for when we are not here, helping Judi in the kitchen when we are cooking for guest groups, and will soon be assisting Judi with other housekeeping chores as needed after Faye Browning leaves next week. We have enjoyed having her here and really appreciate what she brings to the team. Bob helps with maintenance and keeps the vehicles (esp. the train) running. Faye helped us with making curtains for Cabin 1. She also helps with camp laundry and cleaning. Faye also helps Ms. Ada with feeding the children at the Centre. In case you have not caught this in other posts, Bob and Faye Browning are a couple that come here from London, Ontario Canada every January-March to serve at the ALC&C. They are such a huge help and blessing to all of us. Bob works in maintenance and is very helpful in keeping the vehicles running (especially our train at the Centre). Faye cleans cabins and bathrooms better than anyone we know, helps keep Camp laundry done, helps Ms. Ada feed the children at the Centre, and even sews new curtains for our cabins. They are here for only a few more days, and we are not looking forward to them leaving. We sincerely appreciate all they do for the Bahamian people. Plans for a new cabin are in the works. In January we host 2 very large mission teams (90+). The teams cannot be adequately housed with the 5 cabins we currently have. The groups were using the new staff cottage as a 6th cabin, but now that the cottage is housing for our missionary staff, we no longer have access to a 6th cabin for the group. We have received the print for the new cabin from the architect, and we hope to get it to the Ministry of Works for approval. After the approval process, we hope to get help from missionary teams (particularly skilled construction teams) in the building of the new cabin. Exciting work going on! With Janice here to help Tim in the office and Judi in the kitchen, we have had time to do some projects that have been neglected for a long time. 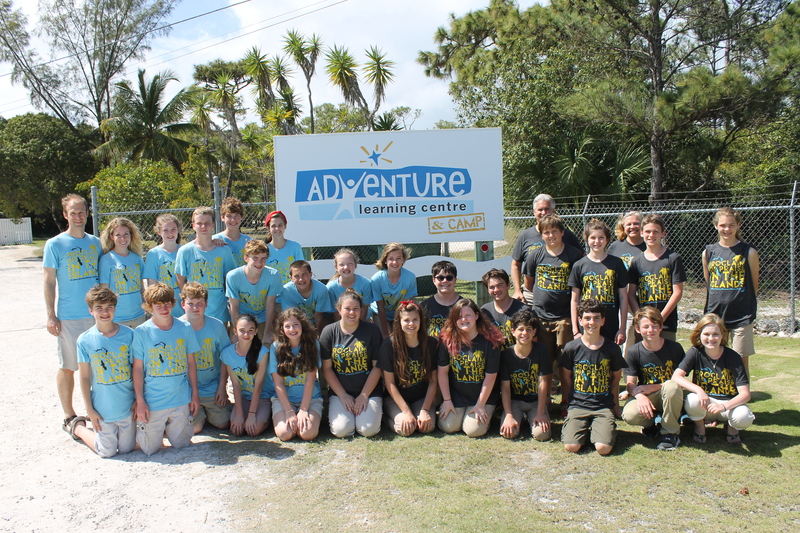 We updated some of the alcbahamas.org website, particularly the “Visit Our Camp” and “Staff” section of the website. There is still a lot of work to be done, but it is a start. 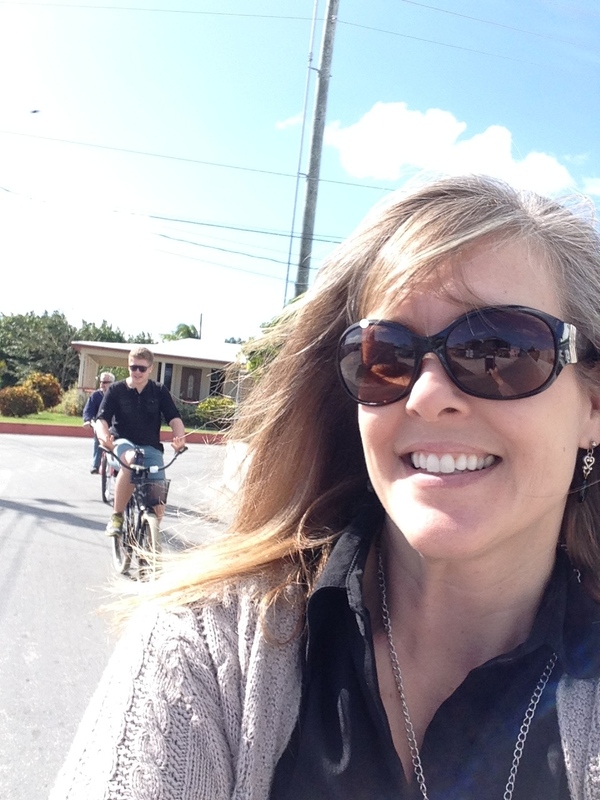 We have also begun typing up ministry introductions on each ministry we work with so we can use them to introduce island ministries to prospective mission teams. Another huge, necessary project we completed this week was correspondence with personal donors, ministry donors, and mission teams who have come and staid with us these last few months. Good-bye to another missionary staff member. Eric Nelson has served at Adventure Learning Centre as program director for a little over 4 years. Just this last week he left to go back to California. We wish him well as he enters the next phase of his life. Since our last update in mid February we have hosted four foreign mission teams and one local group. One of our board members, Stacie Burtelson, is a professor at Judson University. 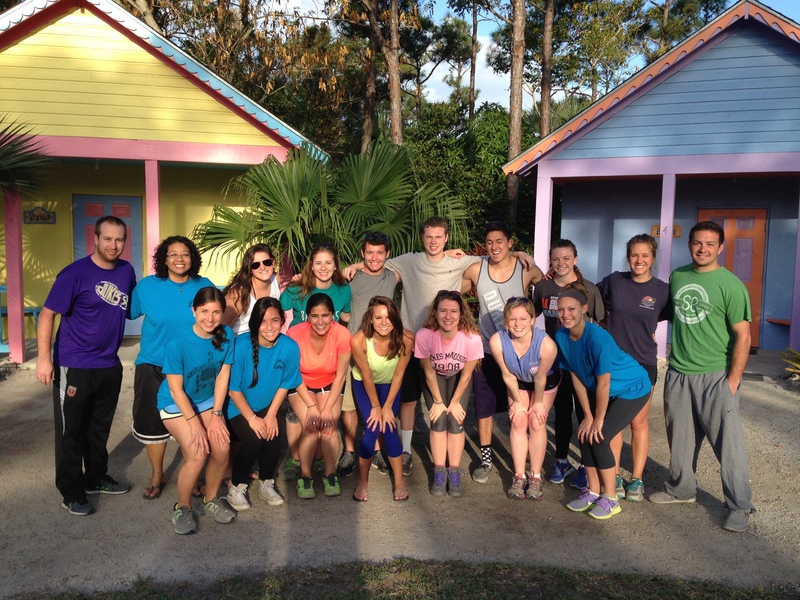 She brought a team of Judson University students to the Bahamas for a mission trip during their spring break. The team worked with school children at the Centre, did work projects at both the Camp and Centre, and ministered to the homeless and poor at Great Commission Ministries. 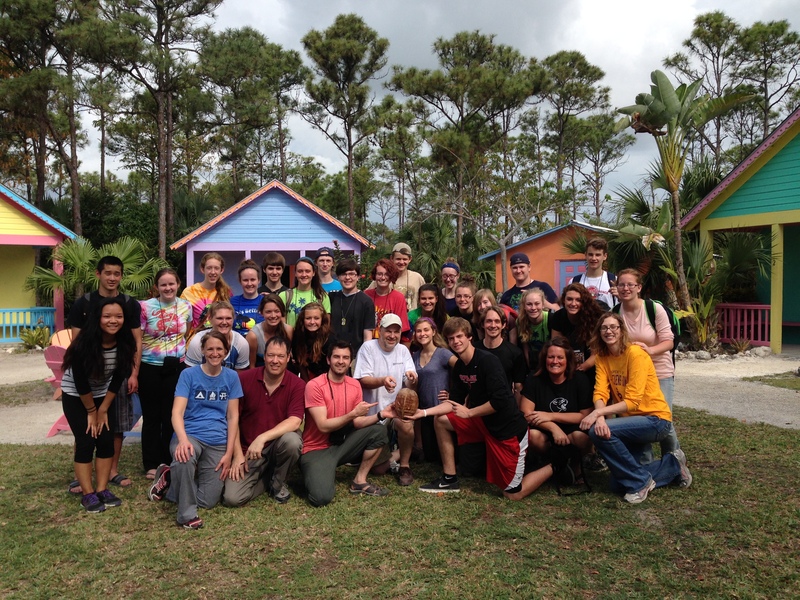 ALC founder Randy and Kim Grebe led a group of students on a mission trip for their spring break at the beginning of March as well. 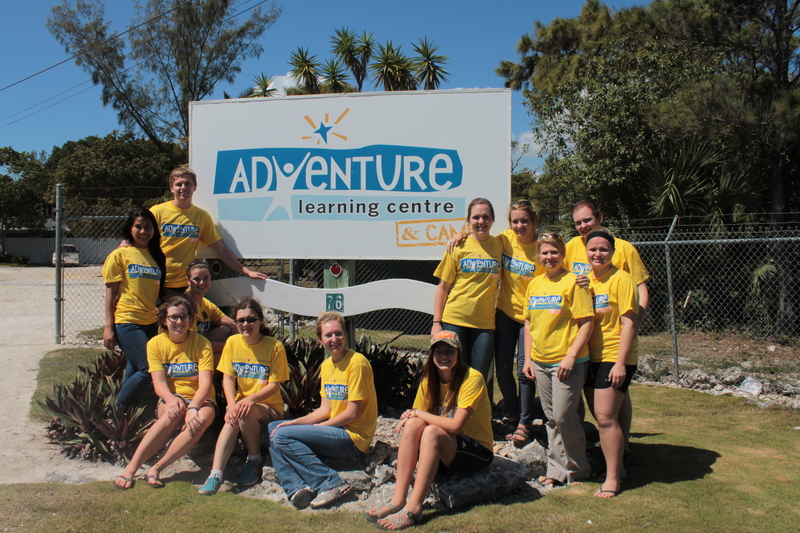 The team ministered at the ALCentre, Children’s Emergency Hostel, Great Commission Ministries, Bahamas Assoc. of Physically Disabled, and various Bahamian schools. The UREC department of JMU has been coming to Nassau and serving the children at Uriah McPhee Primary School for many years. This year the team’s trip was shortened by 3 days because of a weather related flight cancellation, but they decided as a team to come and serve the Bahamian children at Uriah McPhee anyway. What a great group of young people! As providence would have it, several months ago Woodland’s 11th grade mission trip to Guatemala scheduled for mid-March had to be cancelled. Because a team scheduled to be at ALCamp the same week decided they could not come this year, we were able to accommodate Woodlands Church for their mission trip. Last week, the team of 32 were here and served Carmichael Evangelical Church, All Saints Camp, and Adventure Learning Centre and Camp. Our Friday Youth Outreach meetings continue. We have enjoyed working with the other leaders as we minister and serve the young people God sends to us. Please pray that God continues to send us the young people he would have us minister to. We invite you to check out our last 2 blogs (link: “Two Years in the Bahamas, now what?“ and “Foreign Missions: Is it really a sacrifice?”). Please check back later in the week. We will try to have the update completed over the next couple of days. Link: Picture Update coming soon!